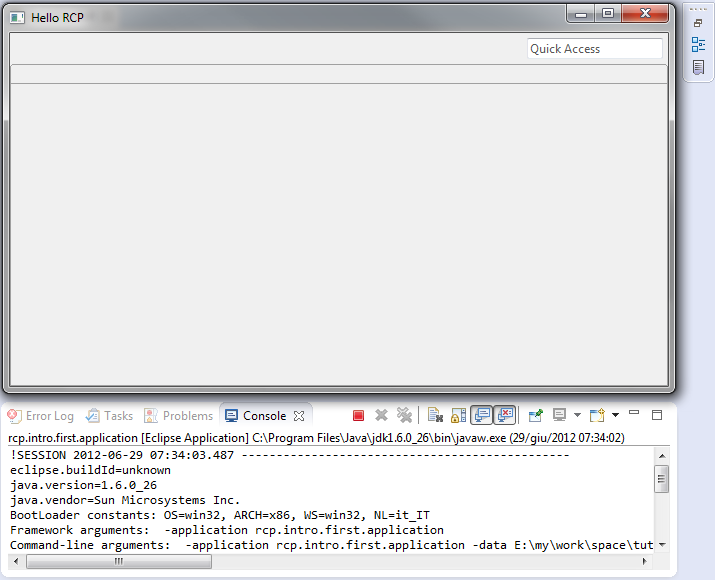 RCP features to your Eclipse Juno IDE. Build plugin project opening the wizard. The Wizard starts; and you see the 1 st page. Click Next , and enter the 2 nd page. Click Next, and enter the 3 rd page. Click Next, and enter the 4 th page. Click Finish. this opens the plugin.xml page. In the plugin.xml page, you can edit plugin details. can change: ID, version, name, activator.